It’s rare to find a pool party where people are actually, well, in the pool. Those fêtes are now reserved for showing off your killer new swimsuit or taking a camera roll’s worth of Instagram selfies. Because who wants to get their hair wet after spending hours styling a twist-out or blowout? That’s what we thought. Well, friends, protective style season is here… not that it ever really left. When it was cold, plenty of celebrities opted for box braids, twists, and cornrows to avoid wet styling, especially because of the wind chill. Now that summer’s right around the corner, the styles act as a way to let your hair breathe while enjoying the sunshine… and maybe even taking a dip in the pool without fear of messing up your curls. Ahead, get some style inspiration from stars like Jourdan Dunn, Solange, and more. It only took Vernon François 20 minutes to complete Amandla Stenberg’s rainbow braid, done with dozens of bright, knotted box braids. “I literally make it up as I go along and just adjust it so the style fits her face,” he tells us. A few strategically placed front-facing braids — like Glow ‘s Sydelle Noel’s — can protect your edges from heat damage and hairline stress. We already knew that Lupita Nyong’o likes wearing protective styles when she’s not filming… but that doesn’t stop us from being shook by these lovely flat twists. 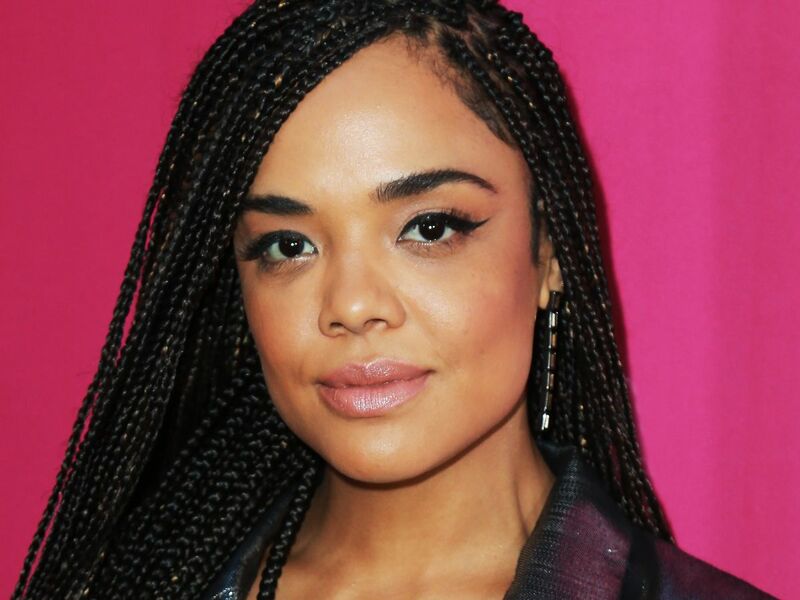 Ever since Redway posted a mysterious, faceless photo of a client with thigh-length braids (spoiler: it was Tessa Thompson), she’s been styling the actress’ plaits in a variety of ways. There’s a lot to admire, but we can’t stop staring at these pearls. Hairstylist Amour Jah gave Kehlani a set of jumbo box braids for a New York City concert. Is Jourdan Dunn going to make protective styles her look from now on? Because if so, we are here for it. Gabrielle Union rocked her vacation style with beaded center-part cornrows. Nia Long switched up the tempo with a similar (but longer) look. Logan Browning’s wrapped ponytail — and gorgeously laid edges — deserve an applause. Even Ruth Negga, who’s known for her signature pixie, can’t say no to the powers of hairstylist Lacy Redway’s magic hands. These box braids look beautiful on her. Redway says she installed Jourdan Dunn’s faux locs a few days before the Met Gala to give them time to loosen up. For the big event, she swept them up into a bun then studded it with Lelet NY gems. Takisha Sturdivant-Drew crowned Cynthia Erivo with gorgeous golden cornrows. Of course, Nikki Nelms came equipped with awesome accessories — Zoë Kravitz’s braided Met Gala bun was equal parts ballerina and badass. We didn’t think that Jordyn Woods could be any prettier, but then she blessed us with a selfie of these box braids and her laid edges… and now we’re here.